Statue of Charles Darwin by Joseph Boehm, in London’s Natural History Museum. I am named after my grandfather's grandmother, Emma Darwin, née Wedgwood. 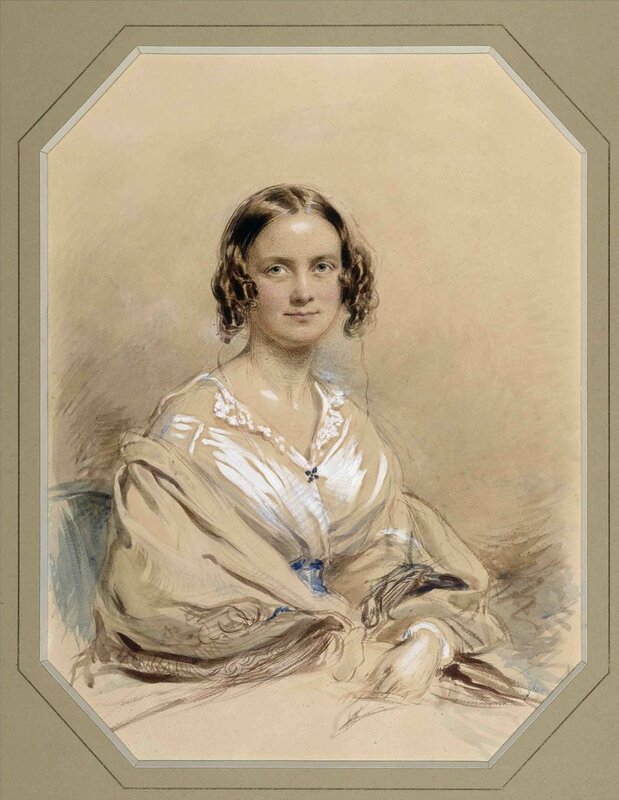 She was the youngest child of Josiah Wedgwood II and his wife Elizabeth, née Allen, and she married her cousin Charles Darwin in 1839 (his mother Susannah was Jos’s eldest sister.) Their second son, George, was my great-grandfather. My latest book, This is Not a Book About Charles Darwin; a writer's journey through my family, is centred on my struggle to write a novel rooted in my family tree, and it will be published by Holland House Books on Darwin Day, 12th February, 2019. Do click that link to find out more about the book. I've blogged in "The Ancestral Elephant" about how my ancestry does - or doesn't - relate to my work. Then, just as The Mathematics of Love was published, I was asked to write a piece about it which the Daily Telegraph titled "Emma Darwin may not be famous, but she's already a household name". If you run your eye down those pieces you'll see that my feelings about it all are complicated. So, what is it about creativity in my family? Everyone knows that the family has been full of scientists from Charles' grandfather Erasmus Darwin onwards. Quite a few know that the family tree is closely connected with an even bigger dynasty which straddles science, the arts and politics: the Wedgwoods. But fewer people know that the poets Frances Cornford and Ruth Padel are Darwins, as were the composer Ralph Vaughan Williams, and the artist Gwen Raverat, who was part of the Bloomsbury Group. In my and Ruth's generation are the musicologist Jeremy Barlow and the distinguished sculptor Phyllida Barlow RA. Gwen's cousin Robin Darwin was Principal of the Royal College of Art for three decades, while her brother, my physicist grandfather, worked with Rutherford and Niels Bohr and during the Second World War was head of the National Physical Laboratory. When my novel, The Mathematics of Love, was published, I was surprised how many people assumed that the title was meant to be a contradiction, a paradox: they thought I must mean that mathematics and love are opposites. And in the wider sense, to the ordinary person in the street, science and the arts are thought to be opposites: science is about facts and the arts about feeling; science is objective, the arts subjective; science analyses the world under our feet and above our heads, the arts synthesise it into something new. But of course it's not nearly as simple as that: Gwen Raverat talks about her physicist father as an artist and "the most romantic man alive", and Ruth Padel is deeply involved in the science of ecology in saving the tiger. So when I was asked to talk about my family - first at Birmingham University later at universities in Mexico and Spain - I drew on my own experience as a practising novelist and teacher to explore how creativity works across all disciplines, and specifically in among all the branches of my family tree: from Erasmus Darwin writing poetry to explain evolution before his grandson was born, to my singer-musicologist sister Carola Darwin commissioning songs to celebrate the bicentenary of that grandson's birth. …in their scientific work they showed many of the characteristics of the creative artist: the sense of style, of proportion; the passionate love of their subjecct; and, above all, the complete integrity and the willingness to take infitinte trouble to perfect any piece of work.